Bobby Maddex interviews Justina Uram, an Orthodox public interest attorney with degrees from Penn State Dickinson School of Law and Syracuse University’s Maxwell School of Citizenship and Public Affairs. She is also the author of a brand new novel titled The Cerulean Locket, which is published by Tilden Terrence Press. Bobby Maddex interviews Marjorie Kunch, the owner and operator of Pascha Press, a former funeral director, and the author of the Orthodox children’s book When My Baba Died. 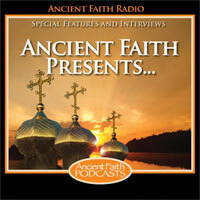 Bobby Maddex interviews Christine Drechsler and Fr. John Rallis, both of whom are with an organization called Chicago Metropolis Family Synaxis.